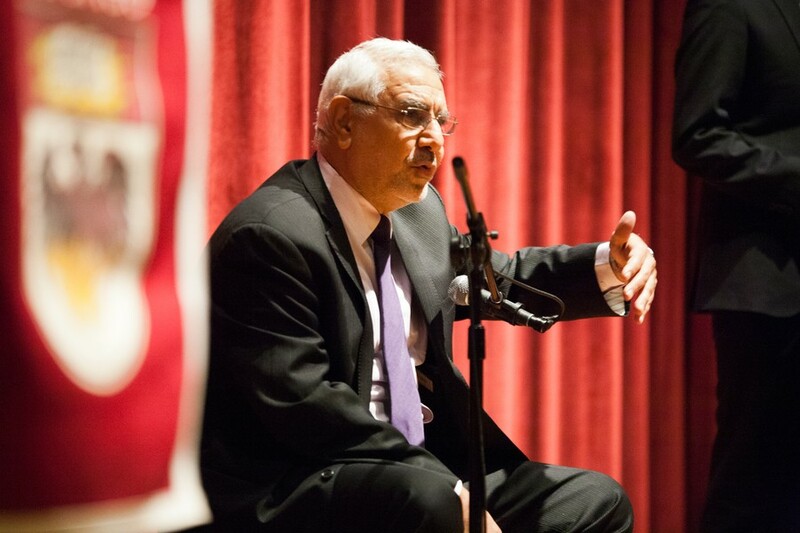 Former Egyptian presidential candidate Dr. Abdelmoneim Abol Fotouh, who unsuccessfully ran in the election held earlier this year, spoke to a packed audience in International House on Monday about the future of Egypt under its new democracy. According to Fotouh, whose Arabic was translated by the event’s moderator, Dr. Abdullah Al-Arian, Egypt’s newfound democracy is here to stay. “Regardless of where [parties] sit on the political spectrum all have agreed that there’s no going back to the dictatorship and subjugation and that democratic institutions are what have to arise from this process,” he said. Fotouh argued that recent political unrest resulting from President Morsi’s decree temporarily preventing Egyptian courts from overturning his decisions indicates the democracy’s durability. Fotouh also shared his views on the Muslim Brotherhood and the role of the United States in the Middle East. Addressing the Muslim Brotherhood, Fotouh said he was concerned about its non-secular nature. When it comes to the U.S.’s role in the new Egyptian democracy, he asked for a hands-off approach. The talk was put on by The Student Forum on Political Thought, a coalition of U of C student organizations that addresses current events they think are overlooked by academics, politicians, and the media.